With the Higher Light embedding itself deeper and deeper into your physical body, your thoughts, emotions, actions, and questions are becoming increasingly inter-dimensional. 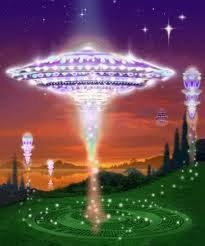 By inter-dimensional, we mean that your inner information is arising from a higher and higher frequency of reality. Also, the higher the frequency, the more deeply the information travels into your core. Remember, in order to flash into the Lightbody of your true nature, you must remain deeply grounded in the core of Gaia’s planetary body. In this manner you can join the increasing momentum of all life’s transmutation into a higher frequency of resonance. Even though your many incarnations on Earth have taught you to be careful, these incarnations have also taught you to be vigilant. This vigilance, which often arose from fear, is NOW arising — NOT from fear — but from protectiveness for your planet, people, nature, the elementals, and all life on Gaia. The cleanup will arise from the awakened humans, who are the Ascending Ones. The Ascending Ones are happy to restore Gaia to Her fifth dimensional splendor because they will be the ones living in that fifth dimensional reality. These inter-dimensional perceptions can only be activated when your consciousness resonates to the upper fourth dimension and beyond. 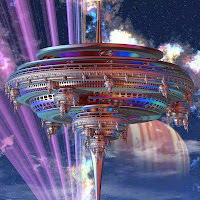 Our Ships can lower their frequency to the lower fifth dimension – or even the upper fourth dimension – when those who wish to perceive us resonate to the frequency of Peace and Unconditional Love. When one is already clairaudient, they will hear us and will “take dictation” from us regarding the information that we are sending them. Those who are primarily clairvoyant can perceive our Ships, but may not yet be able to communicate with us. 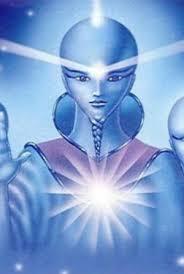 Then there are those who are primarily Clairsentient. They can feel our presence very strongly but may not be able to hear or see us. 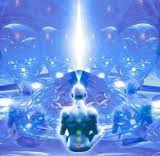 Fortunately, as you all transmute your consciousness and perceptions into the fifth dimension, you will be able to actively see, hear, and feel our presence. 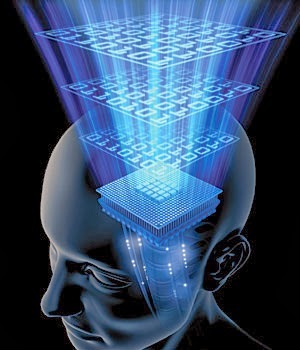 Then, after your first fifth dimensional perceptions are somewhat mastered, you will slowly – or swiftly – gain mastery of your other expanded perceptions. Because of your dedication to take in and ground the Higher Light, your remembrance of your innate higher perceptions are coming more “online” in your daily life. This transition from “must” to “love” may be long and rather arduous, but you will be able to clearly examine the parts of your third dimensional life that no longer work for you. 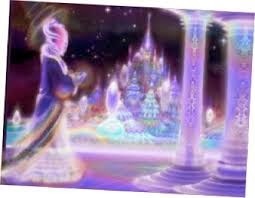 Then your fifth dimensional perceptions will come online so that you can actually see, hear and/or feel the life force in every rock, drop of water, tree, cloud and ALL life. 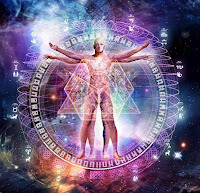 The Elementals will come alive before your eyes, ears and sensations as you learn to extend your perceptions into the fifth dimension for longer and longer of what you still perceive as “time.” But, soon, “time” will become NOW and the fifth dimension will become HERE. Fortunately, your innate Unconditional Love for all life will instantly determine that which is actually fifth dimensional, and you will “soak up this Unconditional Love” like a plant in great need of water. 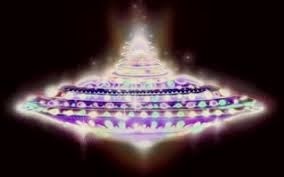 Then the fifth dimensional Ship, as well as the life you have on that Ship, flashes past your mind screen.